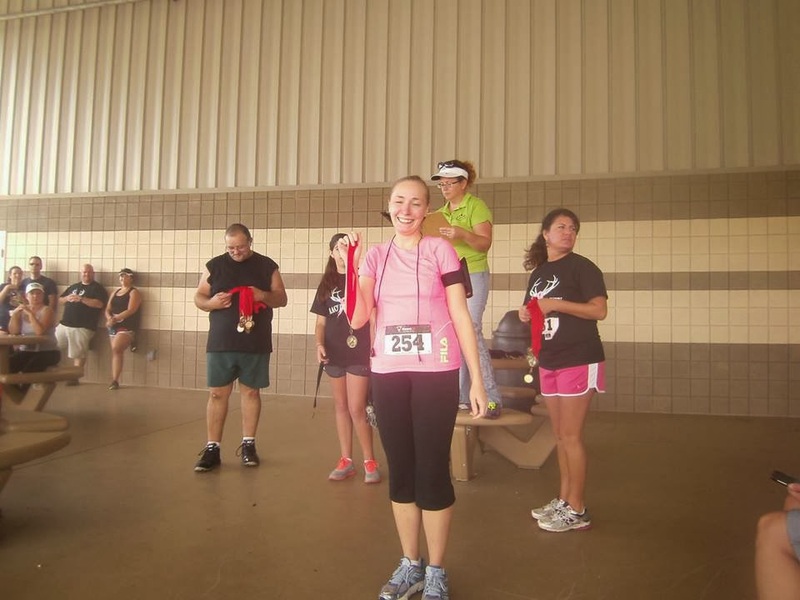 My friend Jaimee wanted to run this 5k entitled Save a Rack. 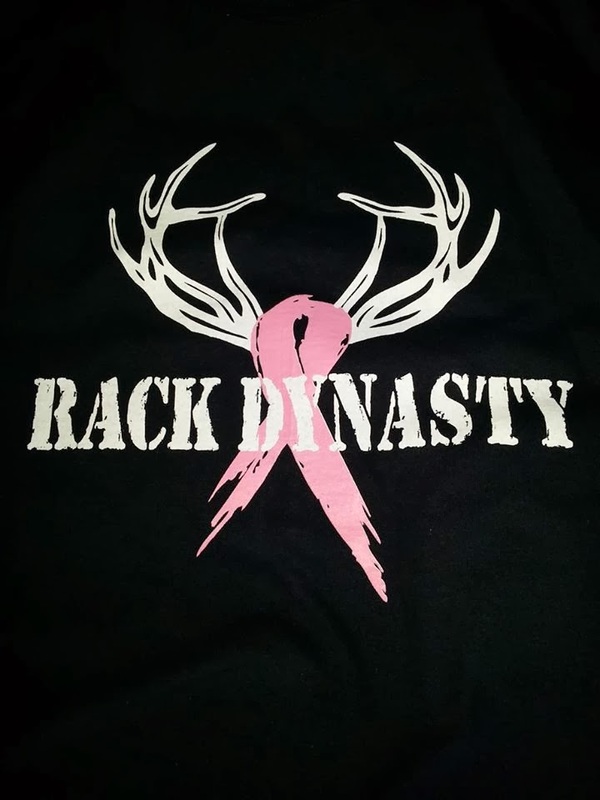 There were some ladies who put this together to raise funds so they could do the Susan G. Koman Race for the Cure. It's a cause near and dear to Jaimee's heart. 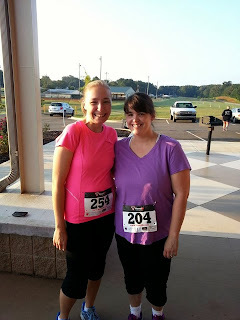 So because it was for a good cause and it gave me another chance to run with my friend, I signed up to run it with her. 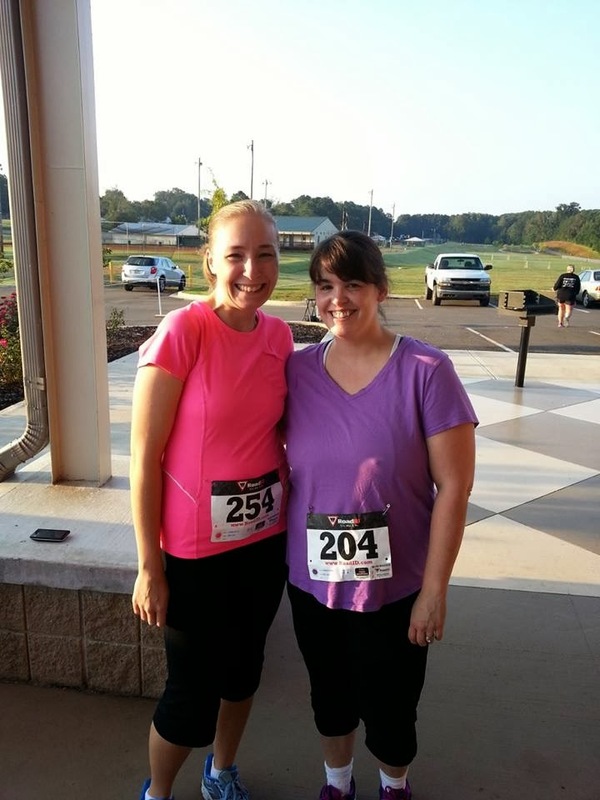 We were ready to run! And when one of the ladies who put together the race began to explain the course to all of us, I knew we were in trouble! It went a little something like this... Run down this road, cross over the grass to the paved path, go under the tunnel, make sure you pass the water lady twice, come around the baseball field twice, and then back. Well, like I said above. I ran. 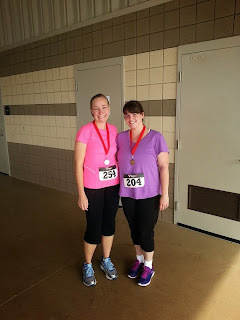 I did a 5K - probably not like what was intended, but I did it! 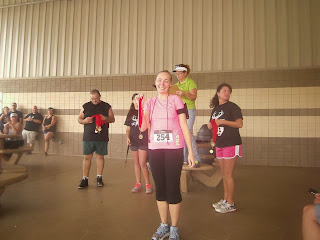 And won first place for my age group. And Jaimee got third place! Would I do this one again? NO! 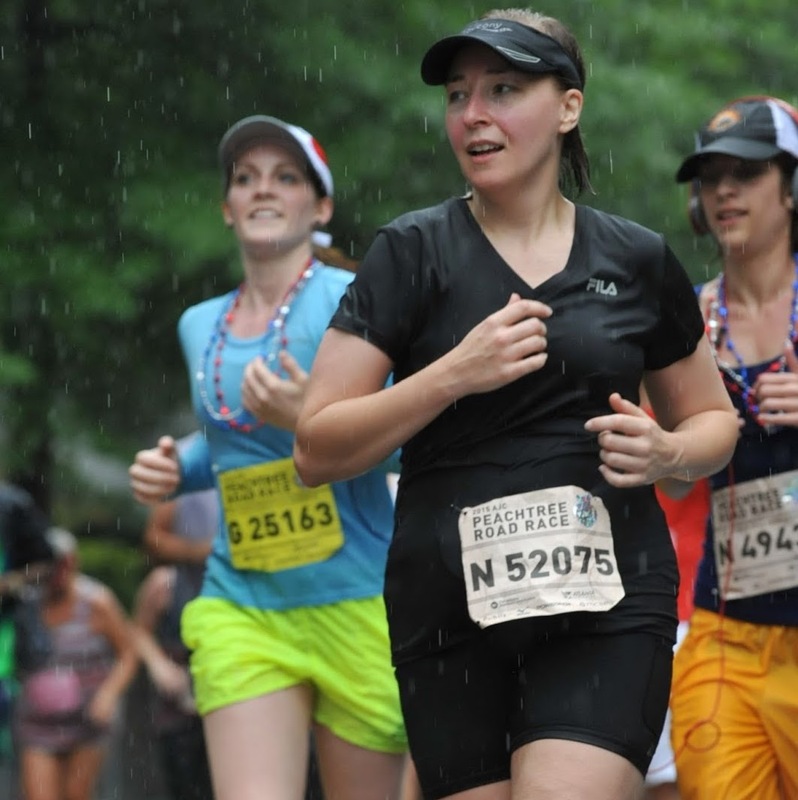 I like the bling bling; however, I had a hard time focusing because I was confused and frustrated for much of the race. As a result, my blood pressure was high and my breathing very labored afterwards. I was a bit of a mess.